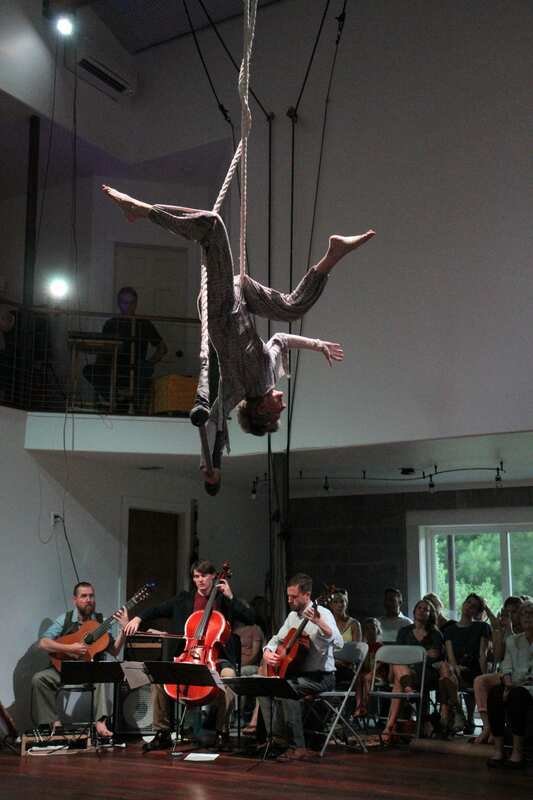 The Marsh Studio offers aerial act creation retreats, workshops, classes and performances for aerial artists of all levels and aspirations. 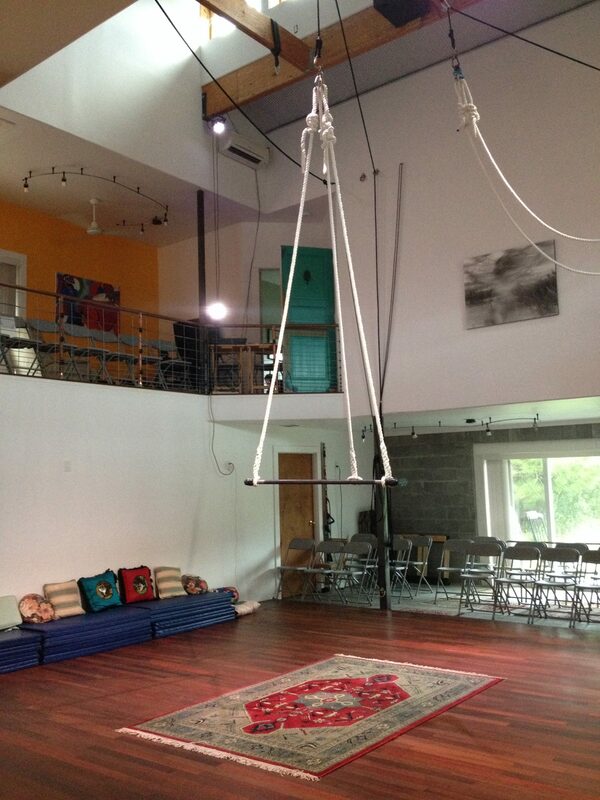 Local trapeze classes are offered on a weekly basis, gentle exercise for every age group. 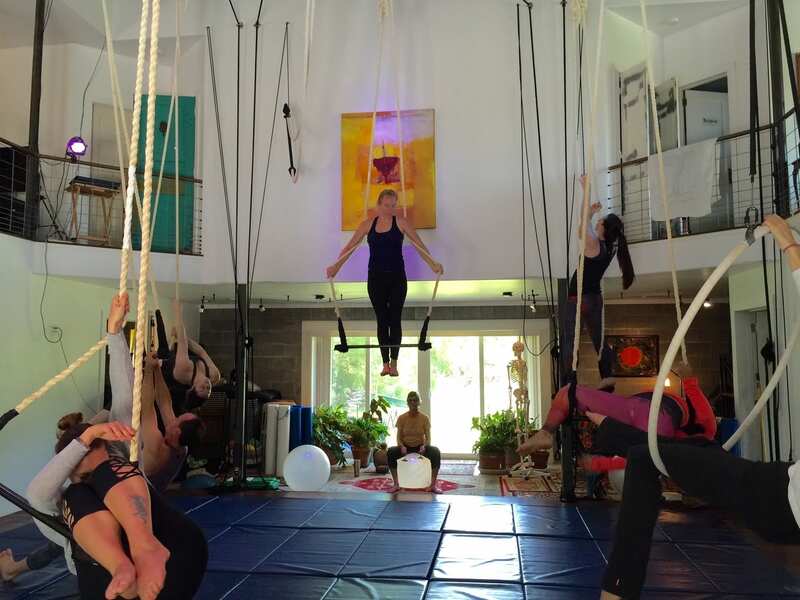 Retreats give guidance to those who want to deepen their performance art and their intuitive skills for creating aerial dance, culminating in an opportunity to perform a solo which emerged from the days spent here. Our beautiful location in coastal Georgia serves as the perfect environment for immersing yourself in artistry. Golf cart ferrying from Blue Heron Lane. Pay at the door reserve online here. 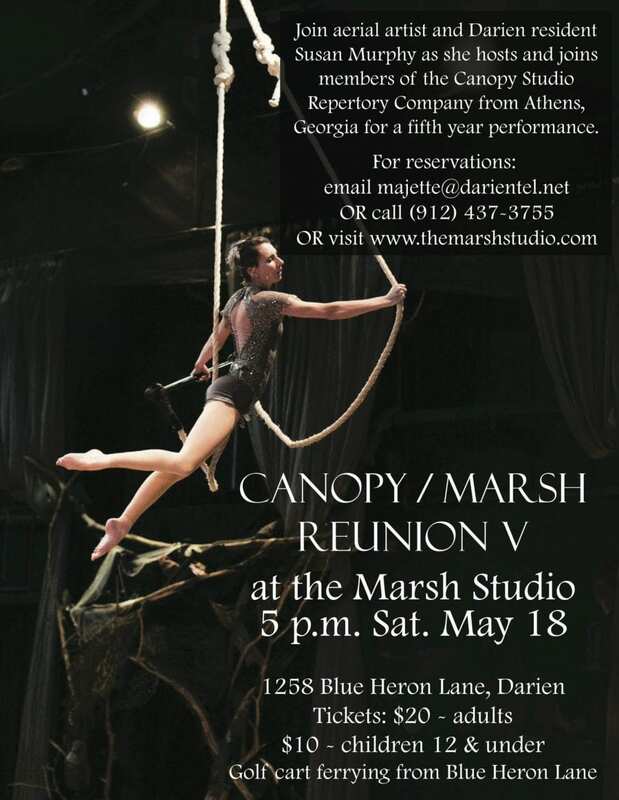 Please join me in welcoming members of Canopy Studio’s Repertory Company from Athens, GA in their 5th performance at the Marsh Studio. The pieces that will be presented this year are as varied in apparatus (rope, trapeze, lyra and fabrics) as they are in intention and content. Yes! Travel down that sandy road, through the woods, by the pond, to the Marsh Studio and be entertained, stimulated and delighted by a group that appreciates our wonderful world here as much as I anticipate you will appreciate their performance. Make your reservation online below. or call 912-437-3755 us anytime also to hold your seats! 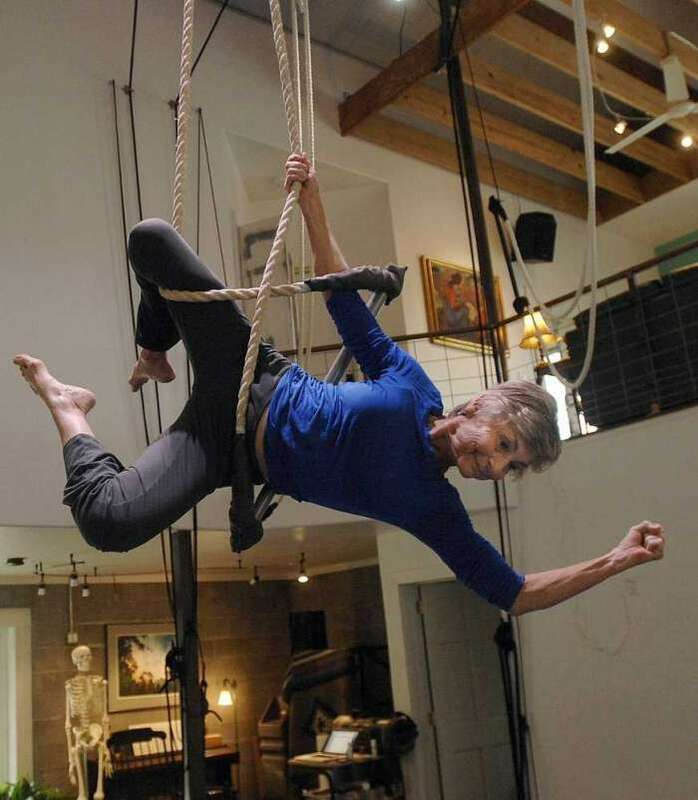 Welcome to The Marsh Studio where Susan Murphy and Don Carson together have created an Authentic Aerial Theater and Training Center like no other. Performances, Retreat Workshops and Personal One -on-One Training Classes are offered. Weekly exercise classes with gentle movement therapy are also offered. Located just outside of historic Darien, GA on the beautiful coastal marshlands. A quick hour and fifteen minutes from the Jacksonville International airport and just fifty-five minutes from the Savannah International airport. The Brunswick, GA regional airport that is serviced by Delta airlines is a quick 25 minute drive. April and Susan give tribute to their friendship with the myriad of perspectives their video/dance portrays. With their solos they reflect the personal choices of expressive gesture within the same choreographic template. Interspersed with shots of their individuality are shared moments they created, from above and below, the apparatus and the dancers. And throughout, they give kinetic voice to the richness and depth, through time and space, of their love. Photo exhibit seen in the studio by Don Carson. To see more of his work, visitdoncarsonphoto.com. Congratulations to these two dancers and their collaborators. They have delivered a truly wonderful piece of art. Not only is it emotive and thoughtful, but it is beautifully captured and makes full use of the unique Inanimate 48 format by capturing aerial dance from non-traditional angles and using smart editing to convey the relationships between two friends. We hope you enjoy this work as much as we did. These are from our students and professionals that have attended workshops and retreats at Marsh Studio. Throughout Susan’s workshop, I had moments of extreme peace and serenity as though everything else had melted away. Letting myself dive into the emotions we were trying to convey through movement took away all fears and inhibitions about performing. That has taught me to simply move in that moment.